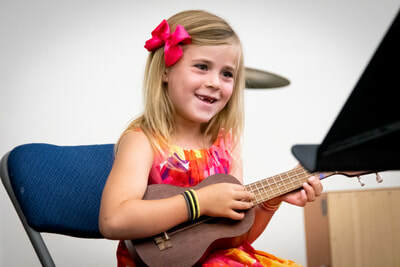 Guitar, Bass & Ukelele Lessons for ﻿all Ages! 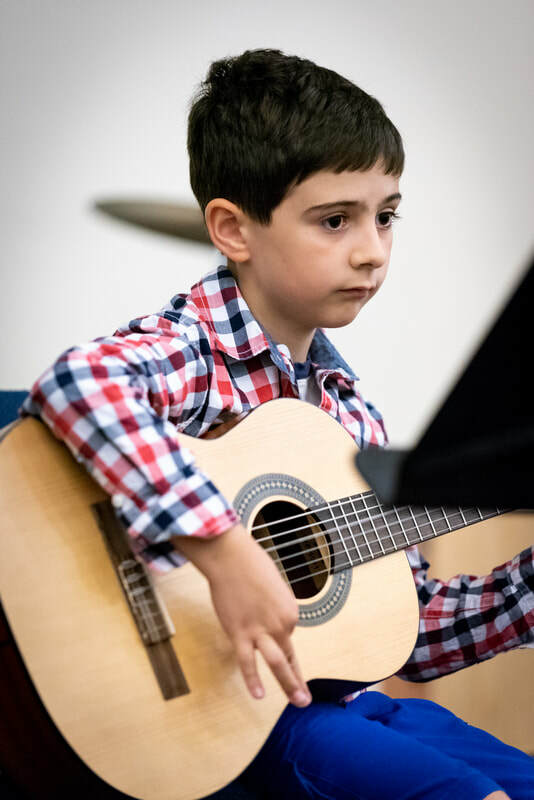 Our Guitar program is a fun way for you to learn the world's most popular instrument. 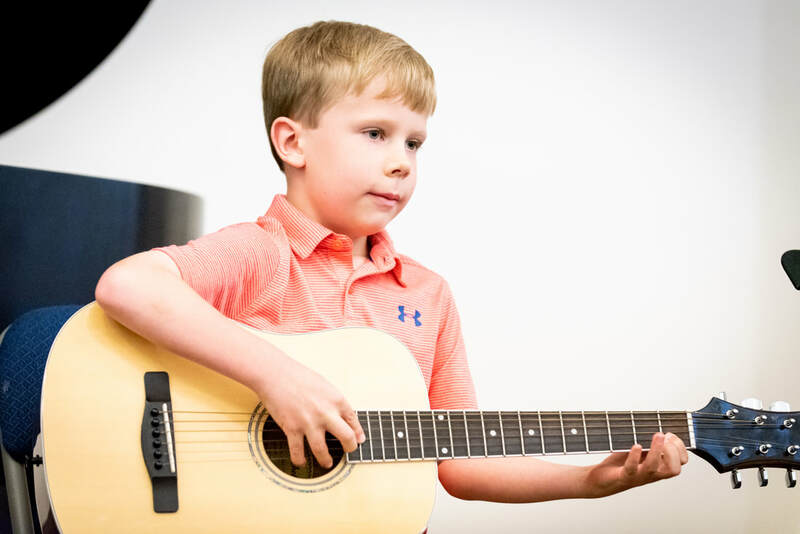 Guitar lessons are customized for each individual student and students are encouraged to bring in music that they would like to play. At the first lesson your teacher will ask questions about your favorite music, aspirations, background, etc. and then create a plan and goals to help you accomplish whatever musical dreams you have for yourself or your child. ​You will love guitar lessons at the Champaign School of Music! ﻿Its easy to get started. Lessons are on a first come - first serve basis. CAN I START WITH GUITAR? DO I NEED TO LEARN PIANO FIRST? Guitar is a great first instrument. 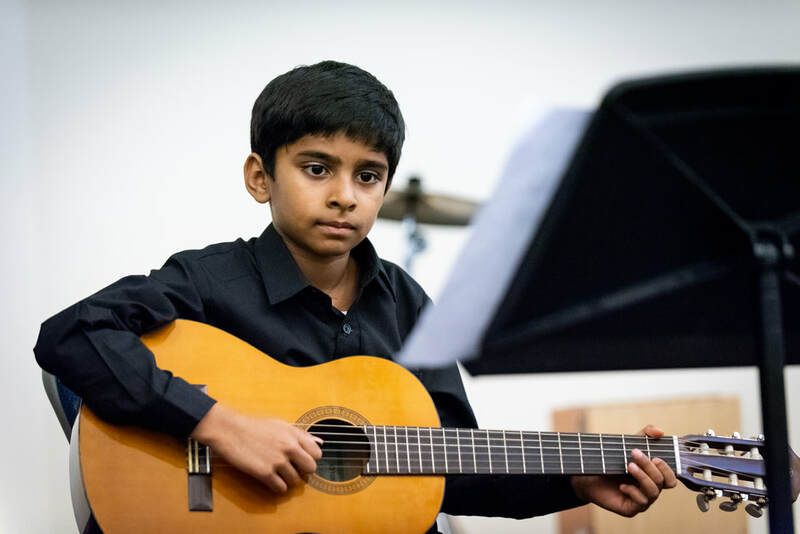 You do not need any prior training or experience with piano or any instrument to learn to play the guitar. CAN I START ON ELECTRIC GUITAR OR DO I NEED TO START WITH ACOUSTIC FIRST? You can start lessons with an electric guitar. In many ways students find electric guitar easier to play. The strings are lighter and easier to press down and the body of the guitar is smaller and easier to manage. WHAT ABOUT THE BASI﻿CS? WILL I LEARN THO﻿SE? Like any sport, their are basic drills and skills you will want to attain in order to play the music you love and have fun doing it. Your teacher will help you develop your tool box of basic skills according to your goals. Your tool box may include: reading, writing, technique, theory, transposition, improvisation and playing by ear. And, you will still incorporate your favorite songs into lessons. WILL I LEARN TO READ MUSIC? You can learn to read music. You should talk to your teacher about your goals. Reading music is a great learning tool. Having a basic understanding of reading music is something that everyone who plays an instrument should be able to do. Reading music is optional. Many guitarists are intimidated by the idea of learning to read music. It's not that hard to learn to read music, give it a try! DO I NEED A GUITAR? Yes, you do! Your guitar teacher will be happy to advise you and give you a checklist of things to look for. DO I HAVE TO PERFORM at RECITALS? You will never be required to perform however, there are many benefits to sharing your music with other music students, family and friends. Your practice is more focused when you have a short term performing goal, you develop rich friendships with other students who are learning just like you. You acquire complimentary life skills such as comfort in front of an audience. Though not required, you will have the opportunity to play in fun, relaxed recitals and master classes. AT WHAT AGE CAN I START Guitar LESSONS? You can start guitar lessons between 5 years and 104 years. Prior to 5 years old, our Early Childhood Music Program - Music Together (R) is recommended. After 104 years, we are not sure what to recommend. Lessons are by appointment at convenient times 6 days a week. Contact the office via telephone or form (see below to arrange a lesson time). We are just south of the intersection of Duncan and Kirby. Behind the County Market, turn onto Watterson and then immediately right into our parking lot. And... Private Lessons, Group Programs and Faculty page.